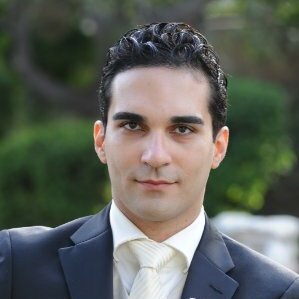 Farshad is a Lead Data Scientist at BCG DV; he has been working on several projects used machine learning including deep learning, natural language processing, and other data science techniques for several projects. On one of his last project, he has used data science and block-chain technology for fake news detection. Farshad has been working as the data scientist in several startups and a hedge fund. He led research and development in several start-ups and also worked as a consultant in a hedge fund. Farshad has also worked several years as a research fellow at UCLA, Neurology and Psychology departments. Farshad has BS in Electrical Engineering form IUT( Isfahan University of Technology). He has two Masters’ degrees in Electronics and Digital Signal Processing from IUT and University of Alabama respectively. He has a Ph.D. in Signal Processing with minor in Math from the University of Alabama. His publications and research focused on biometrics, RFID ( radio frequency identification), Autonomous Robots.